Most of the ladies will set aside a sum of money every month to invest on skincare and cosmetic products. In order to maintain youth and beautiful appearance, visiting a beauty salon is a "Must Do" schedule. If you are looking for an inexpensive Beauty services, Advance Beauty Express will be a good choice especially if you are staying around West area. 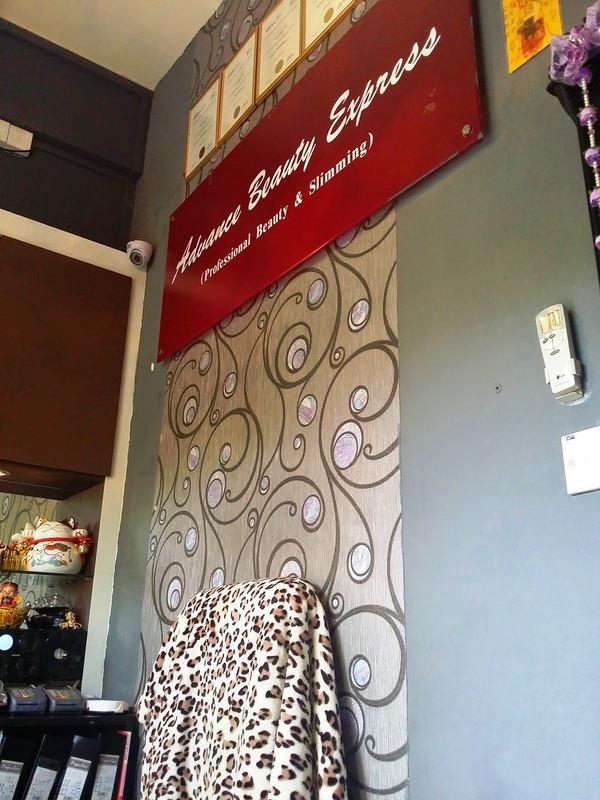 This beauty salon provide a one-stop express service such as Manicure, Pedicure, facial, slimming and foot reflexology service with affordable prices and good service. Nevertheless, this salon located at housing estate area, premise is not very big and spacious, but this salon lady boss has spent some efforts on the decoration which was quite fascinated and cozy. Beside the fancy decorations, I would say the services that provided to me was good, especially the foot reflexology always so relaxing which cost about S$28.00 for 60 mins. Gelish Pedicure cost around S$45.00 and you can choose up to 2 colours.